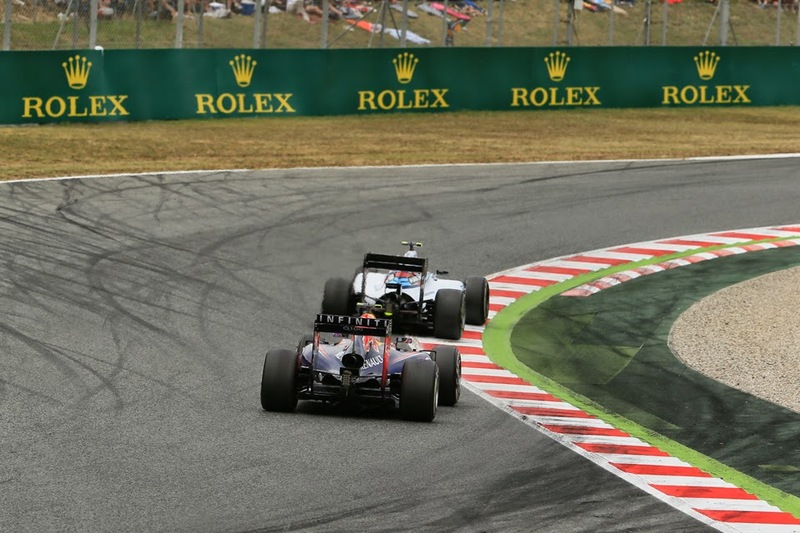 Talking about F1: The F1 blog: Barcelona Preview: Same as it ever was? Some venues have a reputation for unpredictability. For the dishing out the wild card. For the strange to occur. Sadly though the Circuit de Cataluyna near Barcelona which hosts this weekend's Spanish Grand Prix is not one of them. The Montmelo track whatever its virtues is arguably the single one on the itinerary least associated with the unpredictable and wacky. It has its uses though. Grands Prix at this circuit are viewed as the sport's bellwether - in other words if you go well here then the likelihood is you'll go well most places. And demonstrating as much 17 of the 24 pole-sitters at this track have gone on to be that year's world champion. Ignore the astonishing shock of Pastor Maldonado's win in 2012, it was entirely out of character (if you're being cruel, in more ways than one). Why is this? Well as is usually the case it can be attributed to a few things coming together. The track features a few long medium-speed corners which require good aerodynamic performance and therefore it isn't a circuit on which an under-performing car can readily be hauled around ahead of itself. If your machine isn't working you have little choice but to sit and wait on it. Underlining as much grids here often have a Noah's Ark two-by-two look. The track more generally has a 'bit of everything' quality about it - to the point that the final sector is now considered a good indicator for Monaco pace - which again ensures that cars that perform well in the universal sense are rewarded. The circuit for much of its existence has been the default testing venue for the teams too - in part because of the characteristics described above - to the point that your average F1 driver likely sees the Montmelo turns every time they close their eyes. And in F1 this familiarity has bred contempt; taking a totally wrong turn on set-up is unlikely thus taking away a further potential source of surprise. Races here furthermore are often on the tepid side as it's not a track big on overtaking opportunities; there isn't really a big braking zone plus cars struggle to follow in each other's 'dirty air' through the long lingering turns. 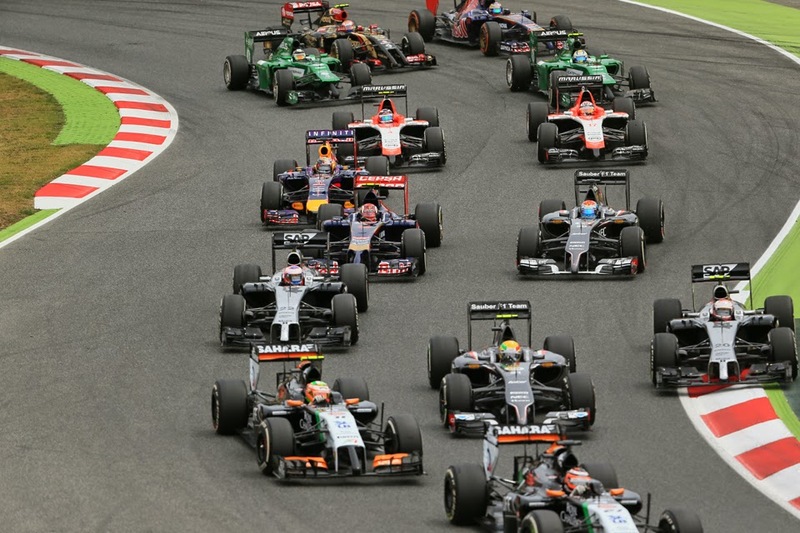 Panic after a Spanish Grand Prix over whether F1 had got 'too boring' (plus ca change...) once was an annual event indeed. And once again the numbers back this concept up. No fewer than three in every four Grands Prix here have been won by the pole-sitter while only twice have they been won from a start behind the front row. It is however a Grand Prix that's, perhaps incongruously, rather spread the love in recent years with eight different winners in the last eight visits. And even though it deserves its reputation as a bellwether last year the long constant radius turns resulted in an unusual outcome of Lotus competitiveness that never was seen before or since in 2014. Another association with the Spanish round these days is that it opens the European season, thus heralding a helter-skelter run of races that takes us right into the business part of the campaign. With it the round is synonymous also with major upgrade packages to virtually every chassis present that likely have been in the pipeline since even before round one. And this time with engine development tokens allowed to be used within the season many power units will be given a boost too. Come the start of practice running there will be many nervous eyes on the extent that these updates have worked and what the resultant impact is on the pecking order. Not least with the sport's two leaders of Mercedes and Ferrari. And while Merc has had the edge so far in 2015 those from the Italian team have been incredibly bullish in public about the car's development potential as well as about it further improving its power unit as the season progresses. 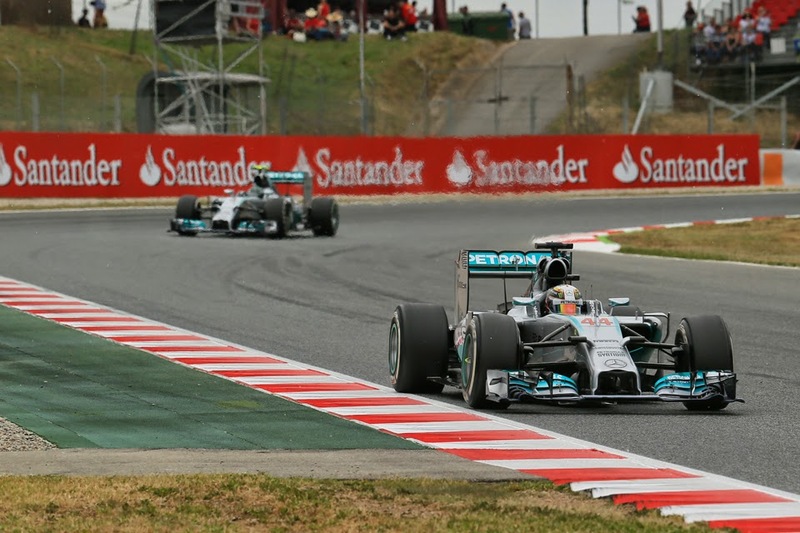 Both Merc and Ferrari have their own reasons for optimism. The Mercedes has the stronger peak pace particularly over a qualifying lap and as we've established grid position is very important at this venue. Furthermore the Merc's also thought to have more of an edge on Ferrari on chassis than it has on engine, and as also established chassis performance is the key discriminator here. But races at Montmelo tend to be tough on the tyres too, given it has a rather abrasive surface as well as two lengthy right-handers that put a lot of strain on the left front especially. And this of course could tilt the advantage to Ferrari. Pirelli, minded of the challenge here to the rubber, is bringing the two hardest compounds of the medium and hard, though again encouraging the Scuderia these were the compounds used in Malaysia when Ferrari won out. Can anyone get with the Mercedes this time? Ferrari too may have some strategy options that can be deployed this Sunday, as a few started last year's race in Spain aiming for a two-stopper only to switch to a slower-on-paper three stops when in the event they experienced higher degradation than anticipated. Might the Ferraris be able to stop one time fewer than the Mercs ahead? If so it could be their way in. Certainly since Bahrain the Scuderia's team principal Maurizio Arrivabene has promised a continuation of the team's "aggressive" strategy approach: "We recognise the gap we have with Mercedes so the only way is to be aggressive" he said. "If one day, I don't know when, we are able to catch them, the strategy must be put together in a way which is a bit different." Last year too Nico Rosberg nearly pipped Lewis Hamilton with a contrary strategy. The Merc team bosses have admitted that such experimentation is less likely with Ferrari now on their case, but whatever is so we enter another weekend feeling like Nico needs somehow to get one over his team mate. He'll be hoping that Niki Lauda's talk of breakthroughs after the Bahrain race does indeed prove to be the case. There are others out there with conspicuous room to improve, meaning that this Barcelona round probably has been circled on their respective calendars for a while. Not least Renault, which has been rather in the doghouse this year as far as its chief customer Red Bull is concerned. It'll be worth watching how much ground the French concern can claw back this time, to build on the RB11's chassis improvement evidenced in Bahrain. Lotus too has promised to "open some eyes" with its own step-up. Then of course we have this campaign's great enigma of McLaren. Both it and Honda are to appear with improvements, and while it remains still the first steps of their long journey together that the squad came within four seconds of points in Bahrain means that the Woking team troubling the scorers for the first time in 2015 this weekend seems a reasonable probability. So, for once, this weekend the Barcelona venue may not live up - or should that be down - to its reputation for predictability.